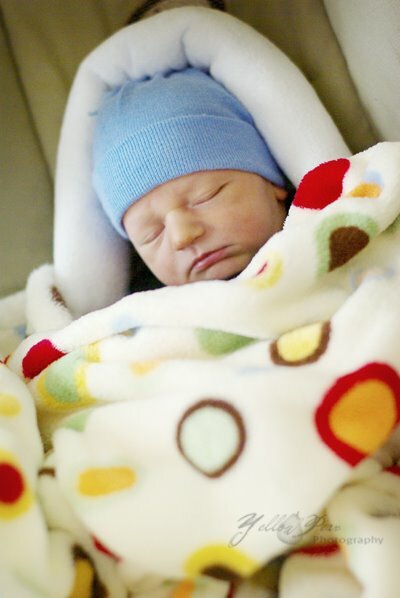 Squire Everett was born September 23, 2008 at 4:16 pm. He was 8 lbs even and 20 1/2 inches long. Everything went well other than the fact that his heart rate dropped significantly right before birth and the doctor started getting concerned which got us concerned. Needless to say, doc used the vacuum to get him out quick to avoid complications that come from low heart rate. So, he had a beautiful cone dome which has now gone down. As far as looks, I have spread out all the baby books and he has features of all the kiddos. He has Miss B's eyes, C's dimples, N's and B's chin...you know, just a mix. Oh, he also has some dark brown hair more concentrated in the back but I haven't taken any non-hat pictures yet because of the cone issues. Stay tuned for those! Here are a few snaps while we chilled at the hospital...I caught a cute yawn, love those. 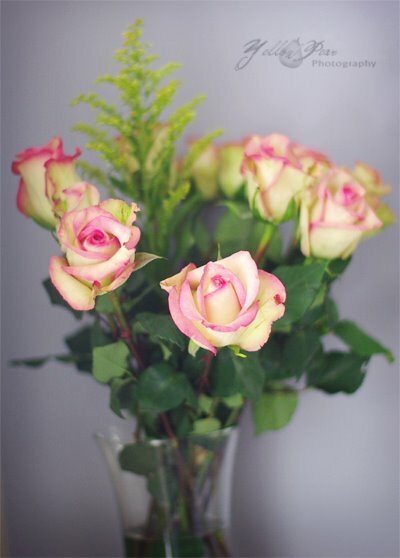 Flowers from the hubs...they are quite delightful! Here he is all bundled to go home (even though it was 103 outside...he was still chilly). The siblings are quite smitten with him...N is so enamored, he follows us around constantly wanting to hold the little man, touch his face, shove his binky in his mouth, you know.... He's sometimes in the way a little much, but it's better than jealousy, so I'm glad. That's all for now, I will take some fun ones in the near future! Cheerio! congratulations! He is perfectly adorable! Is he going to go by Squire or Everett? Love both names...he's a doll, and i love the polka dot blanjet! Oh wow... what an absolute sweetheart!! Congratulations! I hope you're recovering well too, and I can't wait to see more pics of the little guy! He is too cute! I see alot of little N in him already. 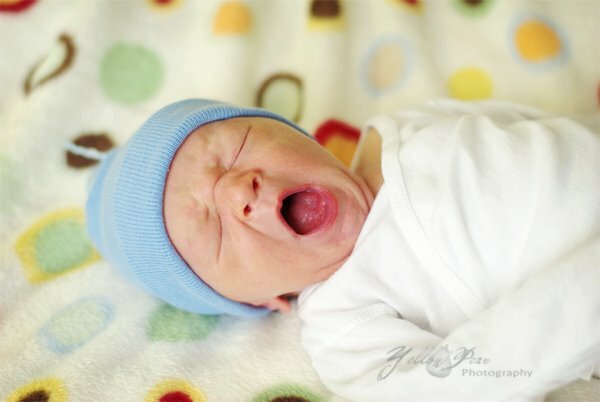 That yawning picture is to die for! Let me know if there is anything I can do for you and your fam. Take care! God Bless him and your family! I've checked your blog about a hundred times since he's been born waiting for pictures! He's beautiful! 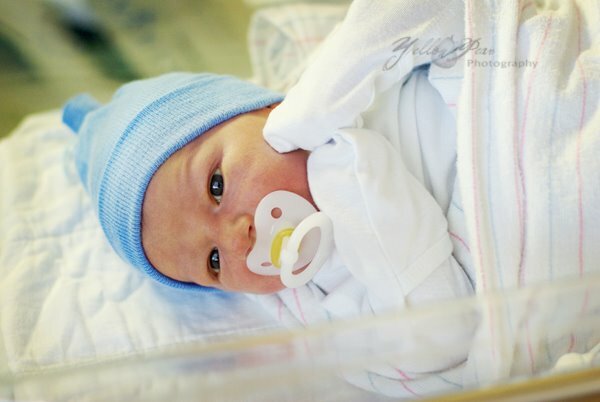 There is nothing more precious and perfect than a newborn. I'm so happy for you all! How sweet, I too have been checking your blog multiple times a day looking for him. What a perfect little guy. Good job!! Congrates! What a handsome little man! That is so exciting to have a new little one. He looks absolutely perfect. adorable! I love when they are so new and they smell so good! mmmmm! enjoy him! He is absolutely perfect! What a beautiful baby boy!!! 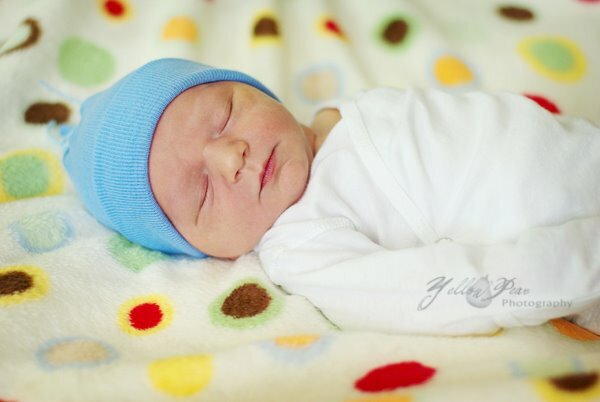 He does look just like all of your other handsome/beautiful kiddos!=) He fits right in!=) Congratulations!!! If there is ANYTHING you need, please let me know! I can't wait to see him in person! YEAH......Oh how precious! You did such a good job. He is so cute. I love his little lips. Is it harder with 4...wow I can't even imagine. You must be super mom. I can't wait to see more pics. Hope everything went well for mom too....take care of yourself and enjoy every second of him. CONGRATULATIONS!!!!! He really is adorable! Congrats you guys! He's delightful. Can't wait to see MORE!! Hope you're feeling well and getting a little sleep. Squire is so precious! I am so glad everything went okay. I understand how you feel about the vacuum. Sunnie had the same thing, but her head is in perfect form, so you have no need to worry about his sweet head. Seeing Squire's pictures is getting me really excited for our baby. Take care! he is just the sweetest thing ever. I'm so excited for you! I can't wait to see more pics of him as he grows. Hope your recovering ok. I can't wait to see all the amazing photos of him. That blanket is super cute too. Glad everything went well! So sweet... He looks just like N! Congrats! Congrats! He is so cute! He looks like such a little man. What a cutie! 8 pounds?!? Where on earth were you hiding that?? I should not have come to your blog this week! I'm soo tired of everyone having CUTE BABIES right now! I want to get pregnant, but I really don't want to, but all of these stinkin adorable newborns are killing me! He's adorable, love the name, love him, love your pictures...congrats!!! !